Get this: Indoor air can have levels of some pollutants up to five times higher than outdoor air, reports the Environmental Protection Agency. So what are the culprits, and what can you do? Our experts have the lowdown. Sure, you don’t want your heating or cooling bill to go through the roof, but keeping your home airtight can lock in irritants, said GH Cleaning Lab Director Carolyn Forte. To help, open windows on nice days. Crack one as you make dinner to dilute cooking pollutants, and create a stronger crossdraft by opening windows on opposite sides of the room. Instead of sending particles into the air with a feather duster, use a microfiber cloth, like our Lab go-to, E-Cloth: Its ultra-fine fibers trap and hold dirt. Other dynamic dusters include GH Seal star Swiffer disposable cloths and dusters, which use an electrostatic charge to capture particles. 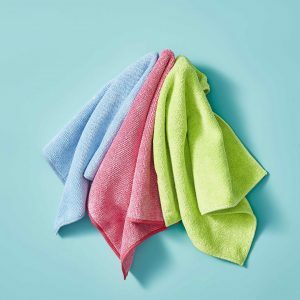 GH Lab Pick: E-Cloth microfiber cleaning cloths (from $8, ecloth.com). Installing new floors? Opt for prefinished solid wood or tile. Laminate is a potential source of formaldehyde (cancer risk may be increased if a person is exposed to very high levels) and other volatile organic compounds (VOCs), all of which off-gas and can irritate airways and increase allergy symptoms. Buy one that’s sealed and that has a bag. They’re best at trapping dust instead of sending it back into the air. Look for one with a high-efficiency particulate air (HEPA) filter to remove at least 99.97 percent of ultra-small particles that can cause health problems. Our Cleaning Lab likes ones from GH Seal star Miele. In tests, the vacuums clean like a dream and capture dust and dirt particles. GH Seal Star: Miele Fresh Air Upright Vacuum Cleaner ($549, mieleusa.com). Nab dust, pollen and smoke from cooking or candles with an air purifier that has an AHAM Verified mark from the Association of Home Appliance Manufacturers. Also, make sure it has the right clean air delivery rate for your room size (most air purifiers list square footage on the packaging or on its website). Our engineers like the Blue by Blueair product line, which draws in air from all sides. Each is easy to set up: Place in the room, plug in and switch on. It comes with blue and dark-gray pre-filters, but you can buy yellow, pink or light-gray ones. GH Lab Pick: Blueair Blue 411 ($100, blueair.com). Q: What’s the best way to clean fabric window shades? — Trish H.
It’s easier to remove the shades and lay them, fully extended, on a clean bedsheet spread out on the floor. If you leave them up, use your vacuum’s extension wand. Either way, lower the vacuum’s suction, if possible. For pleated shades, use the soft dusting brush and go from side to side along the honeycomb channels. For a Roman shade’s soft folds, pop on the upholstery tool and clean from top to bottom. Then flip the shade over and repeat. To keep blinds working smoothly, vacuum away any dust inside an open-top headrail. Dab smudges with a cloth dipped in mild suds. Rinse and blot dry. The following products and vehicles were recalled by the Consumer Product Safety Commission and the National Highway Traffic Safety Administration. Unless otherwise indicated, discontinue use of the products immediately and return them to the store where purchased for a refund. 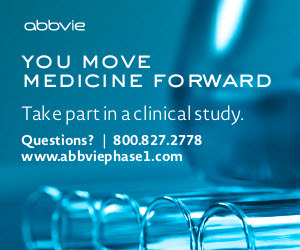 For more information about the products, call the manufacturer or CPSC’s toll-free hotline, 800-638-2772. Only some cars or trucks recalled are affected. Contact a dealer for your model to see if it is included in the recall. The dealer will tell you what to do. Handi-Craft Dr. Brown’s Lovey pacifier & teether holders, sold at Bed Bath & Beyond, H-E-B Grocery, Kmart, Target, Toys ‘R Us/Babies ‘R Us, Walmart and various stores nationwide, and online at Amazon.com from August 2015 to March 2018 for about $10. The snap can detach from the pacifier’s ribbon, posing a choking hazard for young children. Consumer should immediately take the recalled holders away from young children and contact Handi-Craft for further instructions to receive a replacement product or comparable merchandise of equal or lesser value. Call Handi-Craft toll-free at 833-224-7674 from 8 a.m. to 4 p.m. CST Monday through Friday or go online at www.drbrownsbaby.com. Click on “Recall Information” for more information. The Tire Pressure Monitoring System may be incorrectly set, and thus may not illuminate the warning on the instrument panel when a tire’s pressure is 25 percent below the recommended cold inflation pressure. As such, these vehicles fail to comply with the requirements of Federal Motor Vehicle Safety Standard No. 138, “Tire Pressure Monitoring Systems.” If the vehicle fails to warn the driver of low tire pressure, driving the vehicle may result in tire tread separation, increasing the risk of a crash. Land Rover will notify owners, and dealers will update the TPMS setting to correct the illumination setting for free. Owners may contact Land Rover customer service at 800-637-6837. Land Rover’s number for this recall is N164.